Royal IHC has signed a contract with National Marine Dredging Company (NMDC, based in Abu Dhabi, U.A.E.) to build yet another state-of-the-art trailing suction hopper dredger (TSHD). The new vessel builds on the excellent partnership and collaboration between the two companies and on the success of the 6,000m³ TSHD ARZANA, which was delivered by IHC in 2018. In addition, IHC will deliver the first TSHD simulator to the Middle East, further allowing NMDC to develop and strengthen its excellent in-house dredging capabilities. 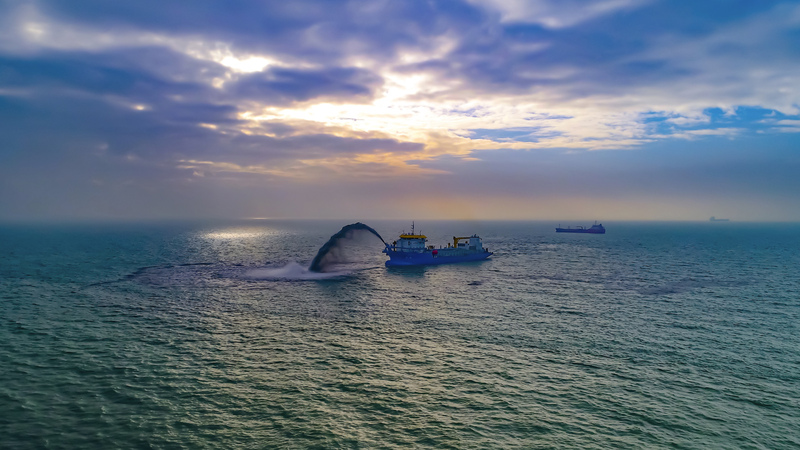 The new TSHD will be delivered featuring a number of technologically enhanced innovations including an enlarged hopper capacity of 8,000m³ and a larger dredging depth of 45 meters. The design of the new TSHD is a result of close cooperation between IHC and NMDC, leading to a tailor-made solution that combines shallow draft and a large dredging depth with high manoeuvrability, whilst it is specifically designed for operation in high temperatures.